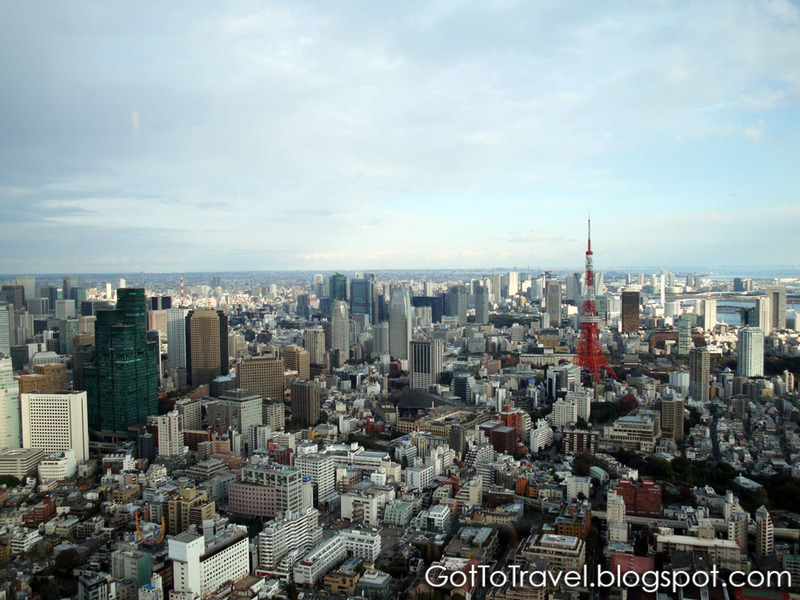 After our Tokyo Morning Tour, we were dropped at Ginza District. 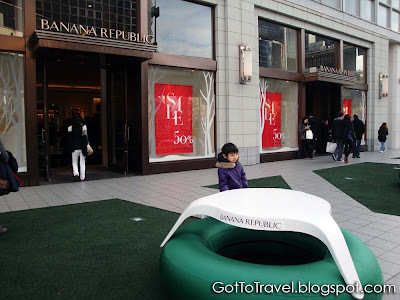 But all the shops at Ginza was closed on January 1st so as advised by our tour guide, we went to Roppongi Hills. 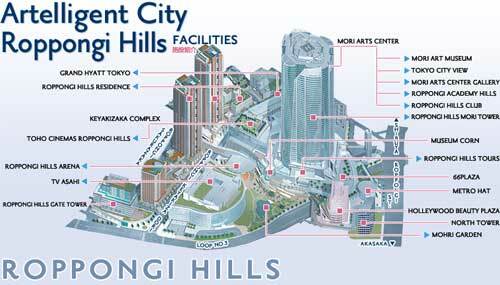 Our tour guide said that Roppongi Hills is most likely open, and it was. Roppongi Hills is like the Ayala compound in Makati where we have several interconnected malls like Glorietta and Greenbelt. 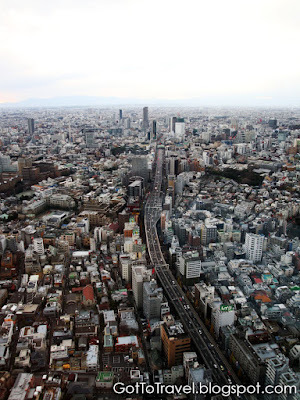 It was our second time to use the Tokyo subway so it was a bit easier. But we got off at Roppongi-Itchome station which was the wrong station. We had to walk for 15 minutes to get to Roppongi Hills. 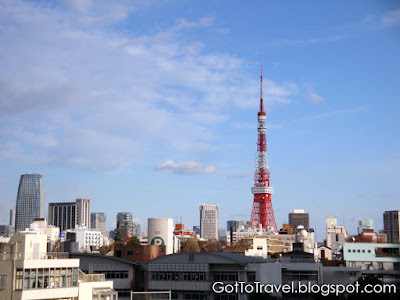 The best way to Roppongi Hills is by Hibiya Line train to Roppongi station. 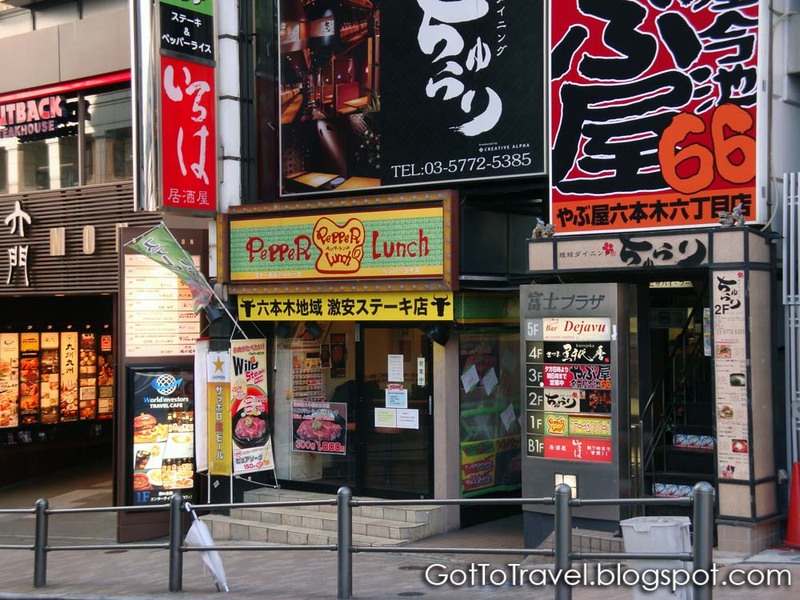 While walking to Roppongi Hills, we saw the original Pepper Lunch Restaurant. 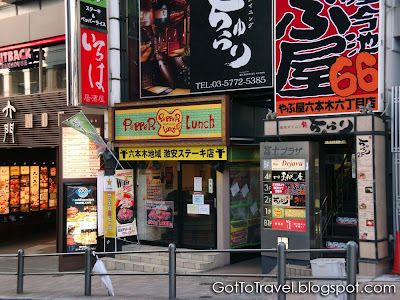 We didn't try to eat there since we have it locally. 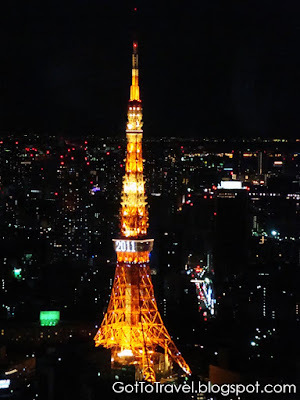 We also passed by a great view of the whole Tokyo Tower. 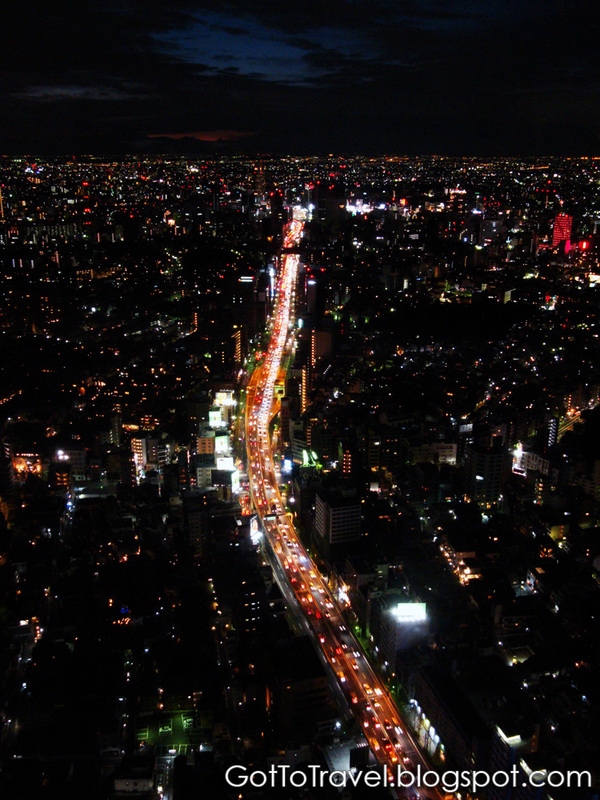 After a long walk, we finally arrived at Roppongi Hills. I saw a cute round bench in front of Banana Republic. 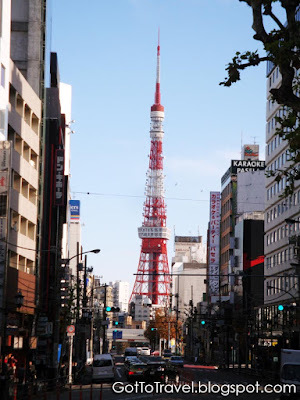 I seem to see Tokyo Tower everywhere I go in Tokyo. 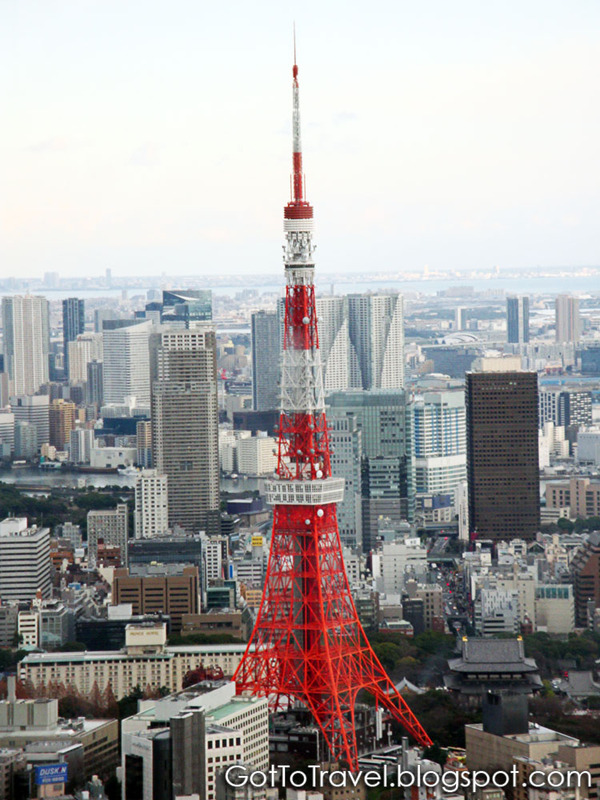 Located at the Mori Tower, this city attraction shows a 360 degree panoramic view of Tokyo. 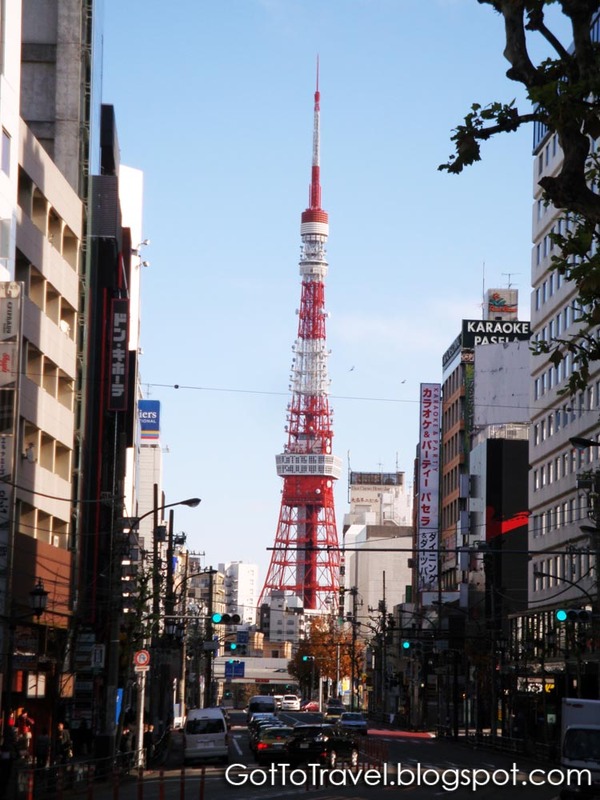 It's 250 meters high and is one of the tallest structures in Tokyo. 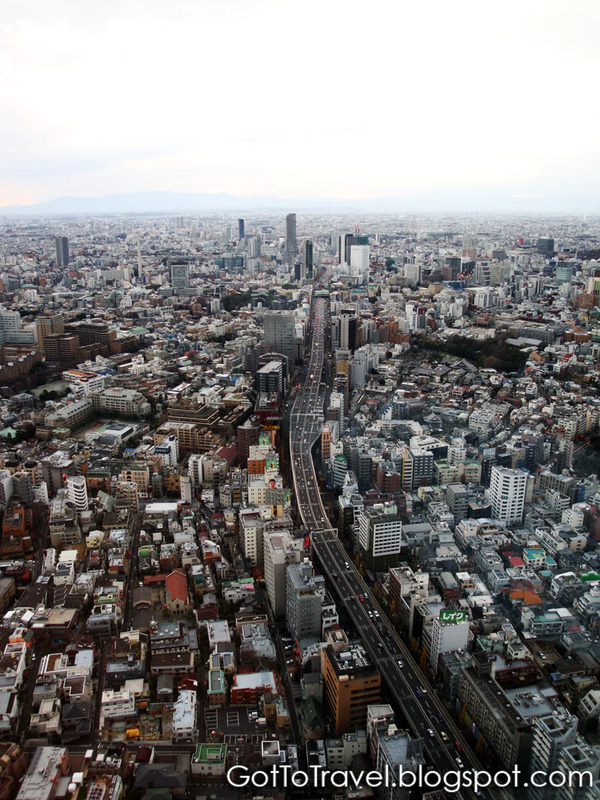 Although the view is nice, there were no landmarks to be seen. Just the Tokyo Tower and sometimes Mount Fuji in clear days. 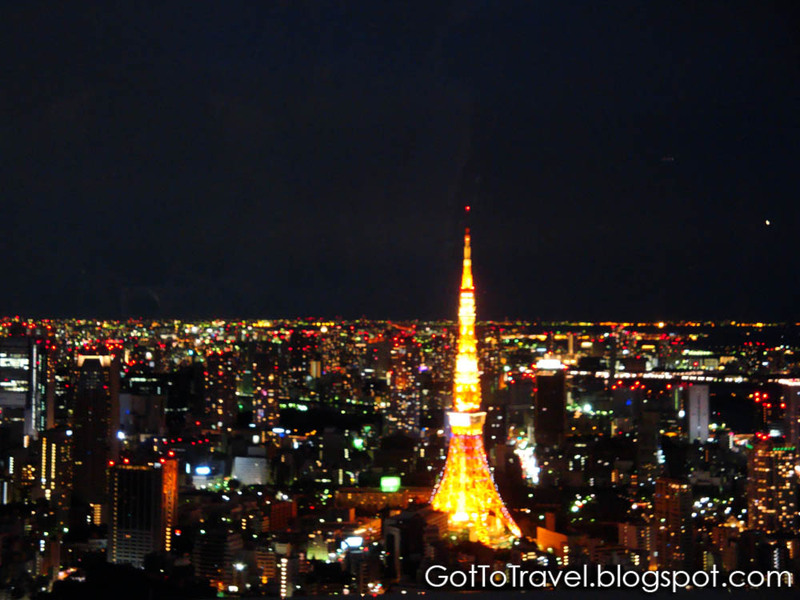 At night, Tokyo is very bright and you would see the bright red color of the Tokyo Tower. 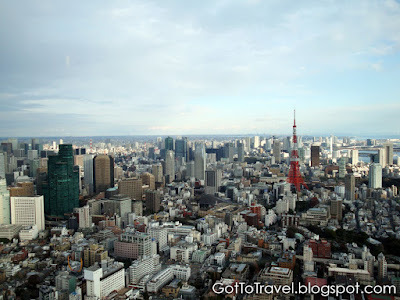 It costs 1500 Yen to go up the observation deck of Mori Tower. 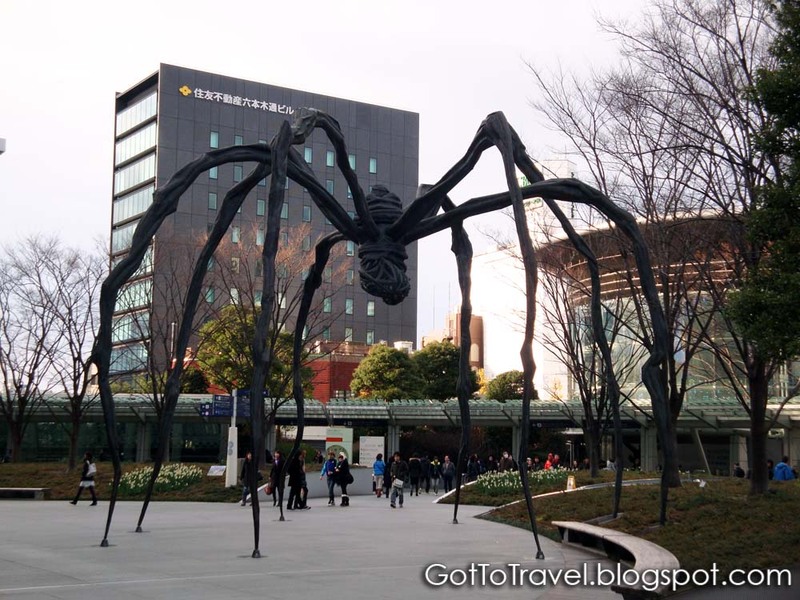 This includes an admission to the Mori Art Museum. For an additional fee you can get access to Sky Deck, which is on the penthouse of the Mori Tower and the said to have the best view of Tokyo. The displays on the museum varies depending on which artist they feature. In our visit they were featuring "Odani Motohiko: Phantom Limb" which was somewhat dark in nature. We were not allowed to take any photographs. 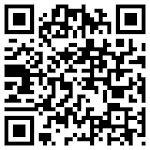 You can visit this link for more information about Odani Motohiko. Take the Hibiya Line train to Roppongi station or take the Namboku Line to Roppongi-Itchome station which is more walk to Roppongi Hills.